Whether it's your first day as an eager inbound marketer or you're a rugged veteran, there's always plenty of room for learning and growing in your role. Although, that's mainly the case when you're at the right digital agency that emphasises learning time so that you can grow in your role and learn things you probably never thought you would. Here are some important skills you didn't know you could pick up as an inbound marketer. The skills above all depend on the agency you work at, how much they emphasise learning and the platform available to use. For example, HubSpot has an extensive academy we at Digital 22 use and encourage the entire team to regularly check out which covers many areas. Just click on the skills above to learn more about what's involved. Even if content writing and editing isn't your main principle, it doesn't mean you never have to type a word on your laptop. Writing and editing are both great skills to have but it gives you the perfect chance to actually understand content marketing, what it involves and the major role it plays in inbound marketing. You might not want to transition into a writing role, but having that knowledge anyway is a great skill to boast. Plus, it's always great to see your name out there as an author of a blog you created. Knowing how to create blogs, promote content and planning long-term content strategies all help you become a more well-rounded inbound marketer. Social media is key in inbound marketing and it's not all about sending the odd tweet when you can. It's having the thorough knowledge and understanding of building an inbound social media strategy that delights your customers and grows your bottom line. By taking a couple of hours out of your day and doing some tasks on the side, you'll know how to extend your reach on social media, understand what digital advertising is all about and so much more. Whether it's becoming a pro on extending reach on Twitter, knowing how to target a Facebook audience, or creating a post that goes as viral as this, having this skill looks great on you as it's not something every inbound marketer can shout about. SEO is a big part of inbound marketing and even though agencies should already have SEO teams in place, having 'white hat' SEO tactics means you'll stand out from the everyday inbound marketers. SEO tactics include content marketing, guest blogging and link-building through social marketing and high-quality content - skills we highlighted in the previous two points. Knowing about the technical SEO tactics, how to update title tags, H1 and H2 tags and incorporating keywords makes you an integral part of the team as you'll play a big role in driving results for the brands you work for. When you've played a hand in ranking number one on Google, you know the learning has paid off. You might have read the odd myth online about email marketing being dead, but that's a lie. Everyone still reads emails and they're a very effective way of reaching customers. When it comes to distributing content, email marketing is great but knowing how to do it is what can set you apart as it's a skill that's often overlooked. 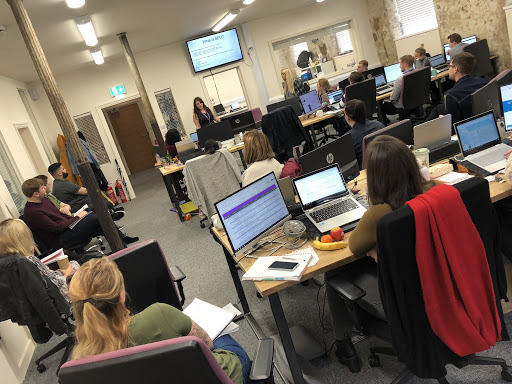 Before you know it, you can become an expert in not only understanding email marketing but also creating high-performing emails, outlining the design of them and even analysing the results of the emails. It probably didn't say it on the job description when you applied, but showing that you're an inbound marketer with extensive email marketing skills will get you a thumbs-up from everyone. If you really want to stand out as an inbound marketer and expand your reach by diving into 'uncharted territory,' then there's plenty of knowledge to learn to assist the sales team. More and more agencies are looking to bridge the gap between marketing and sales teams with varying strategies so as an inbound marketer, it's the perfect time to get your foot in the door. Again, it might not be something you initially thought you'd have to do as an inbound marketer, but picking up many useful skills bodes well for your overall development. 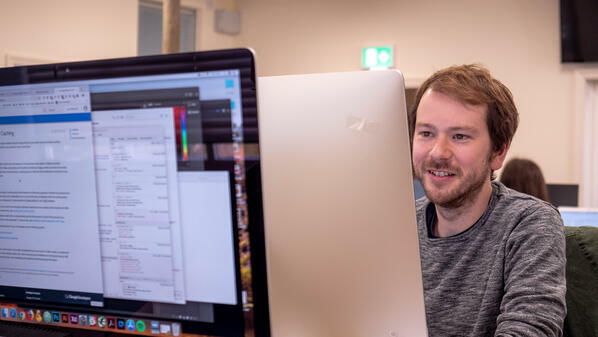 Yes, agencies like ours do have dedicated design and development teams so they can focus entirely on creating, well, beautiful websites, eBooks and everything in between. That doesn't mean you need to switch roles entirely by picking up Growth-Driven Design skills, but knowing the fundamentals and what goes into creating websites is priceless knowledge. Again, a basic understanding of software like Photoshop or even Canva is a great start as nobody is expecting an inbound marketer to know the ins and outs of the most technical design software. around. A lot of digital marketing is driven by visuals and even though there are teams in place that focus entirely on designing, editing and creating your own basic visuals is a great skill. Just think about it - if you know your team can rely on you to whip up a quick email banner or social media image yourself, then it's one less person you have to go through. It shows your creative side and learning how to do that from a basic level is a fantastic start. All of the skills we've highlighted above can be taught both in person - which we do regularly in our internal presentations to keep the wider team updated - as well as HubSpot. Obviously, we know it takes time to get to grips with all of the offerings from HubSpot, especially as it's continuously updated. Even the most experienced of inbound marketers need to learn more about the platform as more updates are released. 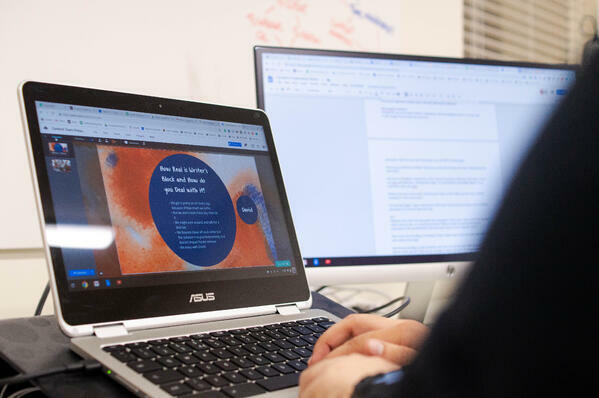 At a digital agency like ours, you'll be given plenty of opportunities to not only take part in courses ranging from content to design, but also about the best ways to use the HubSpot platform itself. You get certifications for doing the courses, you can proudly display them on profiles like LinkedIn and that thorough knowledge of how HubSpot works makes your days an inbound marketer more efficient. Finally, while analysing might be something every inbound marketer does, those that stand out the most are the ones that know exactly what to do with the data they've analysed and where to go from there. It's one thing having the data, analysing it and then handing it over to somebody else to carry on, but an important skill you'll learn is how to apply your inbound marketing analytics to continually improve conversion rates. Whether it's analysing forms, landing pages or even emails, analysing and optimising them all to see what is and isn't working lets you make the necessary changes so you grab those all-important leads. It shows you're agile, adaptable and on the ball as an inbound marketer by reaching outside of the box and branching off into different areas. 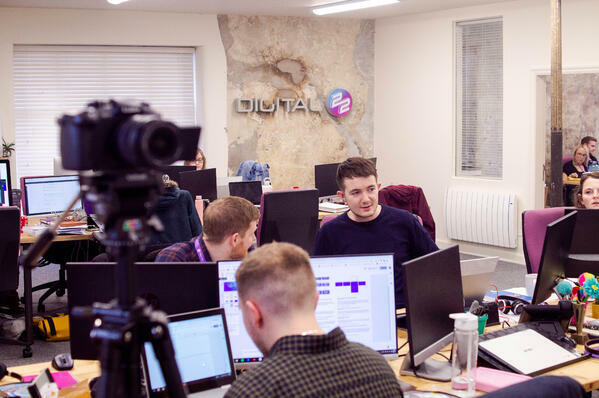 At Digital 22, we're always on the lookout for talented individuals who want to join a tight-knit team and develop their career further. It's not just inbound marketers either. We're growing so quickly that we're constantly searching for web developers, writers, social media marketers and more. If, like us, you want to keep learning and evolving with inbound marketing, then you'll be the perfect fit. If you want to see the current vacancies we have available and learn more about what it's like working with us, click the button below.